In this post I share feedback and give commentary on an email received from a Bartercard ex-insider. Enjoy, think and spread the word. It’s enlightening. This email is in keeping with the previous post analysing the Bartercard sale. Thank you Dennis for all your articles on Bartercard that have been very informative and acuate. He means accurate. This comes from being being a fearless truthseeker but also and more importantly a fearless truthspeaker. People like this correspondent help me hugely to understand the true situation when dealing with deceivers. AS predicted the former directors of Bartercard had the plan to move their private debt of $30M to the super fund shareholders of the new public company and then buy it back for nothing. 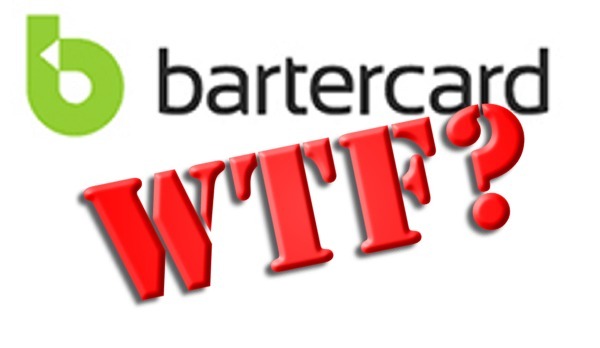 Bartercard’s Prospectus changes are a joke! To complete the full circle, The 3 directors Wiese, Hall and Dieze sold the Bartercard business for $60M in a public float . Now Anthony (Tony) Weise in conjunction with his neighbour Brian Hall have offered to buy the business back for $2M (which is much less that the debtors) plus $3M vendor terms. Essentially for nothing. HOW? This is not a rhetorical question. I cannot confirm Brian Hall’s involvement. I would be VERY surprised though if he was not involved – rotten fruit falls from the same tree. The current, MD Iain Dunstan sold the CORE public business without a formal tender process and without a formal selling process and have been negligent for substantially under selling a core business at the demise of the shareholders. OK So here we have another party asking the same questions. I think that Iain had moved the focus away from Bartercard in late June/July which is a change nonetheless to selling a core asset, as this dude rightly points out. It is known that an offer much higher was made to Iain Dunstan, in August 2018 but Dunstan did not respond. Woah! Now that’s a smoking gun if ever there was. If this can be proven or stacks up, my money is on a conspiracy – for sure! A furtherance to the internal sale and per perhaps the conspiracy to default the minor shareholders. Defrauding shareholders is par for the course for these dudes. Measuring this though is fraught with difficulties as the off-balance trade deficit and conduct of the crooks is difficult to measure. We know though that the trade deficit is in the many hundreds of millions and we know the buy and sell price of the Bartercard operations. We have concerns, why Dunstan and the current board removed Weise, Hall and Diesz for insider trading, gross misconduct, falsifying financial statements and general undermining of the destruction of the business (so that they can re-acquire the same business for little or no cost). The current board is aware of the destructive activities of the former directors (such as the false accounting and selling of off balance sheet trade dollars for personal director’s gain) yet decided to sell the business back to the same offenders for the nothing. It does not make sense. Well that depends on which side of the fence you sit doesn’t it? For the crooks it makes perfect sense. 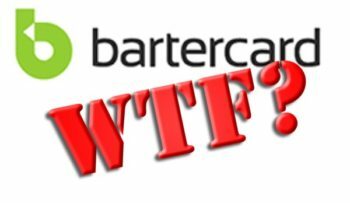 A sudden announcement of sale of Bartercard – an about face – what caused Iain to abandon the brand? Conspiracy or good business sense? We’ll know in due course I am sure. Concern is raised why the board did not lodge a police complaint against the offending directors when they were made aware of various breaches and crimes. This implies conspiracy doesn’t it? Questions need to be raised about the Iain Dunstan ( is he part of the conspiracy or is he just a corporate dodo?) and we question the current board’s governance and compliance. As the sale is an internal sale, have the board obtained an independent licensed valuation to sell the core business in this way. Why has the board gone down a path that would create substantial conflict of interest? The sale contract needs to be set aside, and shares in Incentiapay Limited (ASX INP) need to be halted under the investigation takes place. Go for it my intelligent, knowledgeable & thinking correspondent. Go for it . . . and feel free to use my blogging as effective, accurate [if passionate and opinionated] commentary as you so wish. God never asks a person for their resume. He asks for their obedience.